Auction Closed. Sold via Buy Now $800. Next Auction Monday, May 22. Don’t know much about history, or politics. But I do appreciate beauty when I see it. I couldn’t resist this magnificent, stately view. The big wheels of government may churn inside. Outside, the trees and tulips have their own agenda. Lovely is the word that comes to mind. I love the detail of the trees, the flowers, the windows, etc….soft beauty ….but how harsh politics is! Beautiful. Best painting of the Capitol I have ever seen. 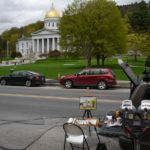 I grew up in Montpelier and I love it. Your work is really amazing. Thanks so much for your ongoing, tremendous support, Mike! This painting is as outstanding as all of your others but a bit mor special for me. The statute on top of the capital is of Ceres which is my middle name and also my granddaughters. This will make a very special gift for hergift for her. Thank you Mille, please just let me know what you need. I’ll look forward to seeing you! Definitely getting a print of this one! I love it. Would love to bid on the original but can’t. Peter, it is beautiful! Thank you Sara for all your support, please just let me know what you need! Thank you very much for bidding Stephen, I really appreciate your support! How well I remember when I was about eight years old and my Aunt and Grandparents took my brother Paul and I to see the capitol. I thought it was the most beautiful structure I had ever seen ! You certainly did a fantastic job on this one Peter ! Thank you. Thanks Nancy, it is a beautiful building indeed, and the grounds keepers do a fantastic job! 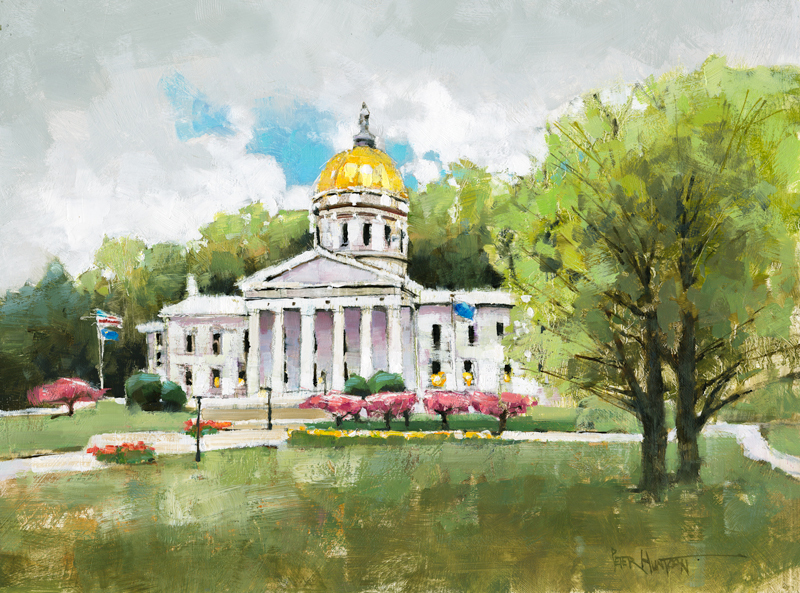 The fresh yellow-greens of springtime foliage softly echo the sun-lit gold dome of the capitol building. 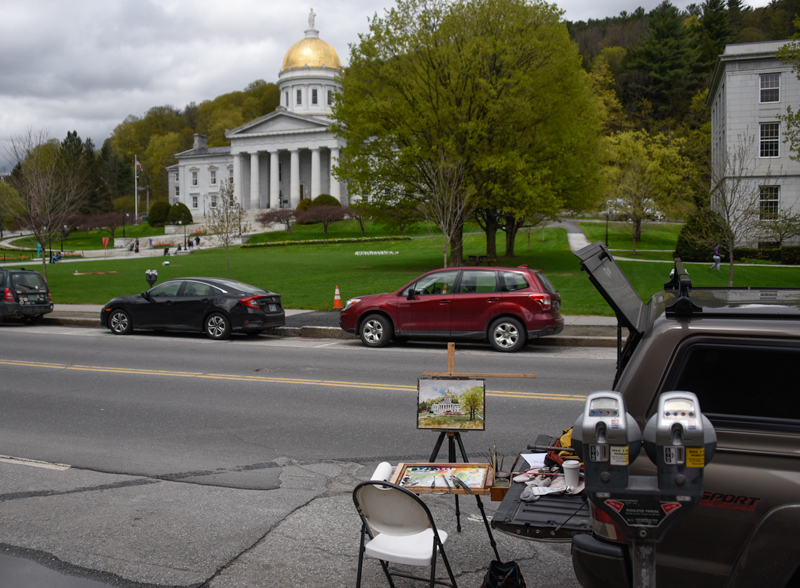 A worthy painting of one of Vermont’s architectural gems. By the way, I’ve been meaning to mention that your years of experience in watercolor painting have contributed much to the delicacy and spontaneity of your oils! What a beautiful treasure to have when you have lived in Vermont all your life. Absolutely perfect!